MySpace has more than 100 million active users. For many of them, MySpace is their central hub for connecting and communicating. They come to meet new people, keep up to date with family members, learn about new products and services, or catch up on the latest news. They come to check out blogs or to share their music. Donâ€™t you just love the MySpace community? What â€” you donâ€™t have a MySpace page yet? Well, we can fix that! Everythingâ€™s arranged to help you quickly find what youâ€™re looking for. 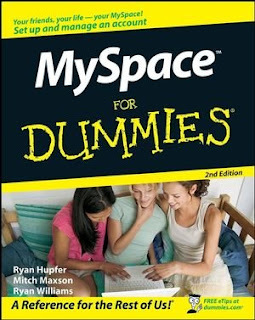 With MySpace For Dummies, Second Edition, you can easily make your MySpace experience truly exceptional!